A sister is the best friend you can have, a terrific advisor, the person with whom you can share a thousand daily adventures. A sister deserves a unique gift, whatever the occasion. That's why you’ll find numerous accessories dedicated to the special relationship that exists between two sisters: bracelets, necklaces, rings and earrings for the perfect gift idea for your sister. Why not choose the same accessory for you and her, so you’ll both be able to wear something symbolising your strong bond? You’ll find the perfect jewellery for every occasion and style. 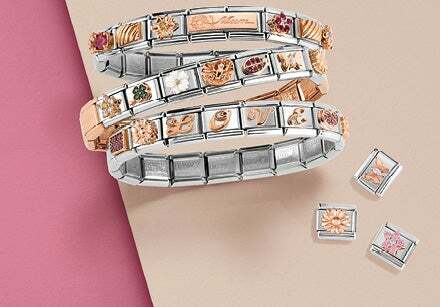 Nomination jewellery is always made with top quality materials, such as stainless steel, sterling silver, yellow and rose gold, and gemstones, all guaranteed by the Made in Italy seal. Discover our selections and put a smile on the face of one of the most important women in your life! If you're looking for a truly unique gift for your sister, then choose Composable, the iconic personalisable bracelet that tells your story. Many Links are dedicated to the special bond between two sisters: inscriptions about family, Links with the words “Sister” or “Sis”, adorable symbols like hearts, ladybugs, two little twins dressed in pink, and good luck symbols. 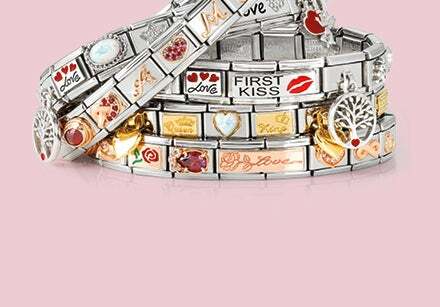 There are also plenty of pre-made Composable bracelets ready to wear, which make the perfect gift for your sister on a special occasion: coloured gemstones to match with every outfit, precious details in yellow or rose gold, and symbols that represent your passions decorate the perfect bracelet for your sister. An important occasion deserves precious metal: what could be better than gold jewellery to commemorate a special moment shared with your sister? Among our selection you’ll find precious jewellery with a modern design and trendy shapes. Choose the Composable Classic or Double Links in gold to add an important detail to the customised bracelet for your sister, or opt for one of the very refined bracelets with gemstones or pearls, to be worn not just on elegant occasions. A necklace with gold finishing adorned with shimmering gemstones is the perfect gift for an important event: linear and multi-strand or with a pendant? Choose the one that best suits your special sister! Among our jewellery dedicated to sisters, you’re sure to find the right accessory to celebrate every occasion just the way it should be. Celebrating an important milestone like turning 18 or 21? You’ll find a charm decorated with the precious number! Is your sister about to receive her First Communion? 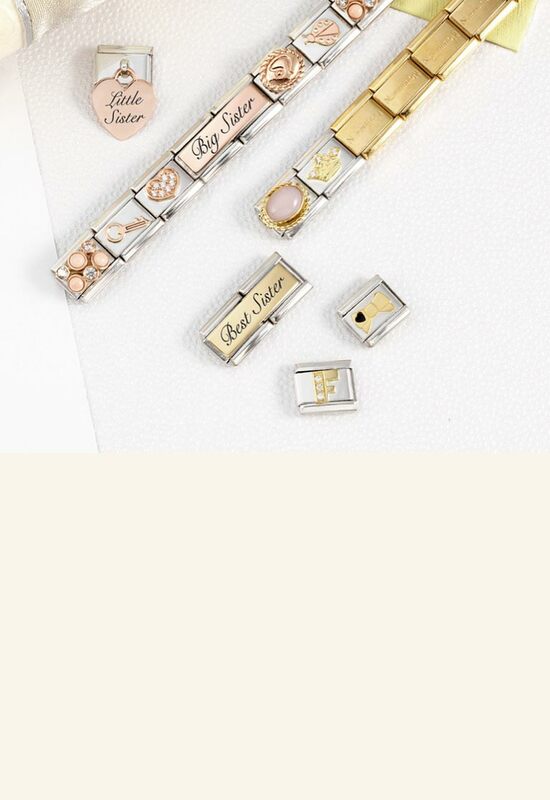 There’s a delicate rose gold bracelet just for her with symbols related to this important step in her life. Are you looking for a special gift to wish her a wonder and happy life, although you’re no longer living together under the same roof? We’ve got a series of precious bracelets embellished with coloured gemstones: cheerful, festive and beautiful, they’ll enhance each outfit with a touch of colour. 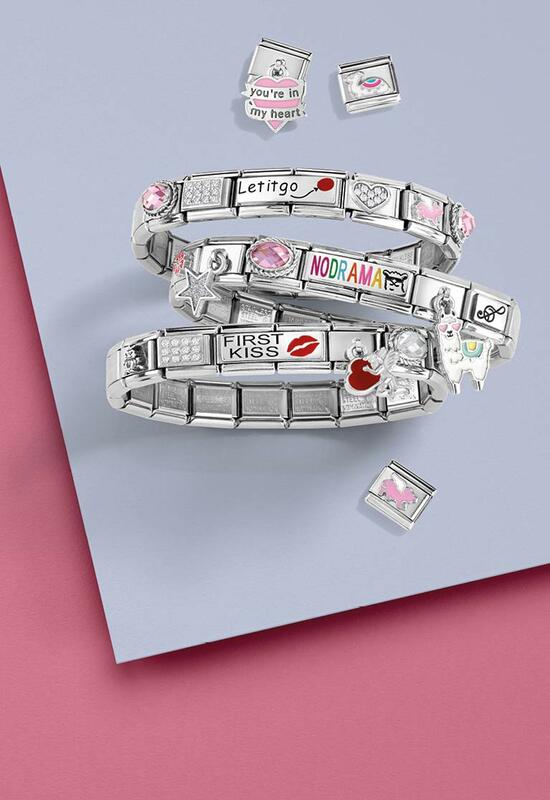 Discover all the jewellery celebrating the relationship between you and your amazing sister!